OTTAWA - Greater competition in the tightly-controlled mobile wireless market could result in savings of about $1 billion a year for consumers and the wider economy, says the Competition Bureau. 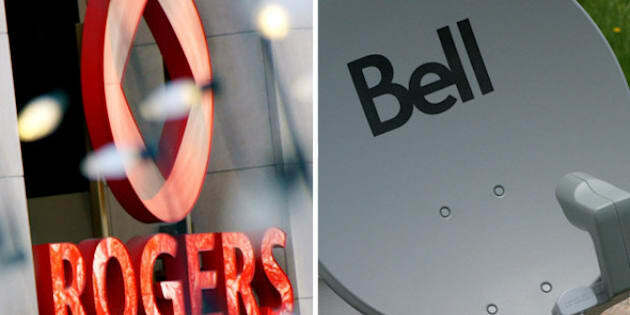 The competition watchdog made the claim in a submission Thursday to the federal regulator, the Canadian Radio-television and Telecommunications Commission, which is reviewing whether to increase regulation in the wholesale sector and has public hearings scheduled for September. The regulations would effect what the large wireless companies — Rogers (TSX:RCI.B), Bell (TSX:BCE) and Telus (TSX:T) — can charge small players for the use of towers and roaming fees. In the submission released Thursday, the Competition Bureau said one study into the issue suggests Canadians could benefit from greater competition and that large established wireless operators are realizing above-normal returns on investments because of their market dominance. The bureau says the three largest wireless companies, which together have about 90 per cent of Canada's cellphone market, have the power to maintain prices above competitive levels for a significant period of time. "The bureau estimates that increased retail competition from an additional nationwide mobile wireless carrier could result in gains of approximately $1 billion per year to the Canadian economy in the form of better product choices, price reductions and other benefits to customers," it said. The $1 billion figure comes from a previously-commissioned report from the Brattle Group, which estimated a fourth national carrier would expand mobile wireless usage in Canada and drive down incumbents' average retail prices by about two per cent. But Rogers' senior vice-president of regulatory affairs, Ken Engelhart, dismissed the submission as "misguided" and "speculative," since the report deals with potential savings from added competition. He noted that the federal government is about to pass legislation as part of the omnibus budget bill that would place a cap on the roaming charges the large incumbents can demand from small players and new entrants. Engelhart said the industry is already well regulated and needs no more. "The budget bill caps domestic roaming charges at no higher than the average retail rate, everyone seems to be ignoring that," he said. "That is an incredibly intrusive regulatory control and why anyone would think more is needed is beyond me." The federal government has aggressively pursued the establishment of a fourth national carrier to increase competition in the sector, including special arrangements for newcomers at spectrum auctions, but as yet to no avail. One recent report, from the Montreal Economic Institute, argues that Ottawa's policies have actually been wasteful in selling highly-prized spectrum, the pipeline for carriers, to inefficient and cash-strapped new entrants who can't deliver expanded services to customers. But the Brattle Group report suggests a fourth carrier would be feasible and result in lower prices, which according to the OECD are on average among the highest in the world. Telecom consultant Eamon Hoey says the problem with the government approach is not that it has insufficient regulations, but that it has been lax in enforcing them. Hoey says the large players frustrate new entrants with barriers that are difficult for regulators to enforce. "The problem is not the policy, the problem is in how you administer the policy," he said. "Whether you have three, four, 10 carriers, if the game is fixed as it has been since 1985, it won't make a difference." The Competition Bureau is recommending that the CRTC establish additional regulatory measures "if and when they are needed to ensure that new entrants have access to the wholesale services they need to compete effectively."